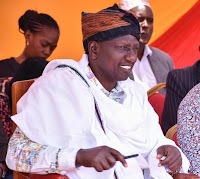 According to the NCIC, the two anti-Deputy President William Ruto songs composed by Kikuyus do not in any way incite communities and the commission is no longer investigating them. Speaking yesterday, NCIC Chief Executive Officer, Hassan Mohamed, said the songs ‘Hakuna Deni’ and ‘Mbari ya Kimenderi’ by Kimani wa Turaco and Muigai wa Njoroge respectively do not incite ethnic hatred and only express the disorder in society. He noted that the commission had keenly reviewed the lyrics and found nothing wrong with them, despite raising diverse public opinions. “We do not stifle creativity in the name of fighting hate speech but those who have changed the songs to stereotype a particular community will be brought to book,” said Mohammed.